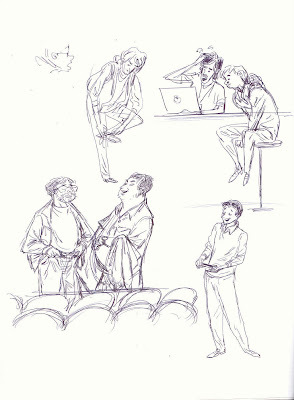 The movie was lots of fun! 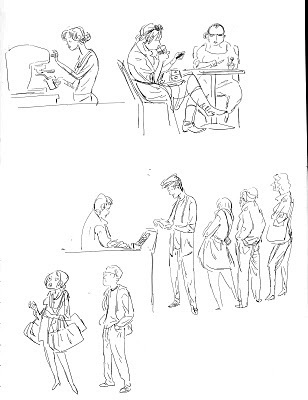 The Metreon AMC theatre snack lines...everyone got free popcorn and soda! Here I was at Jillian's at the Metreon in SF watching a damn good game while sketching a few fans and havin a beer before a free screening of Paranormal Activity 2 last Wednesday night. 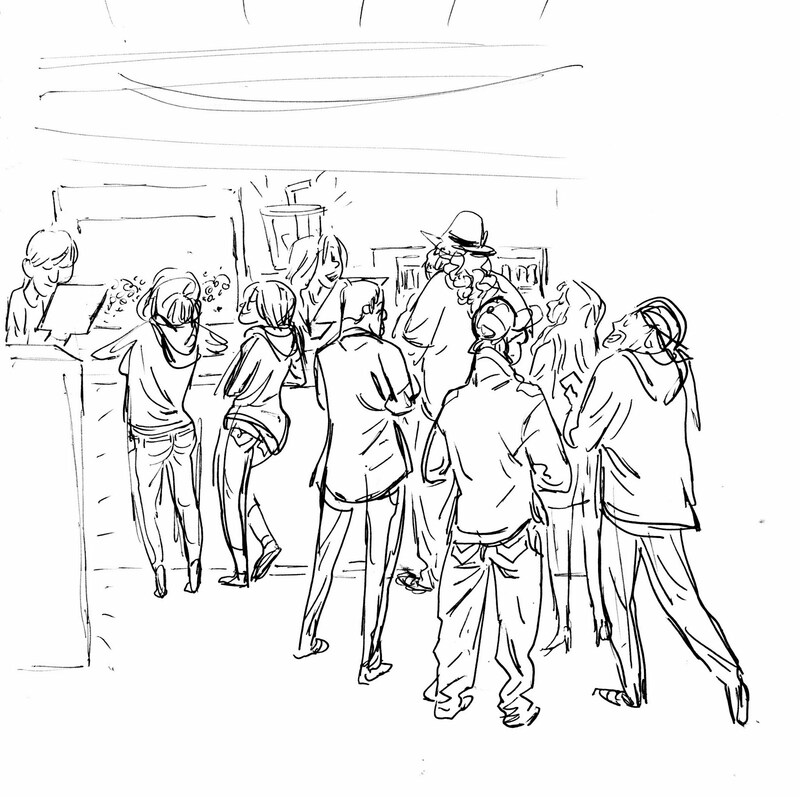 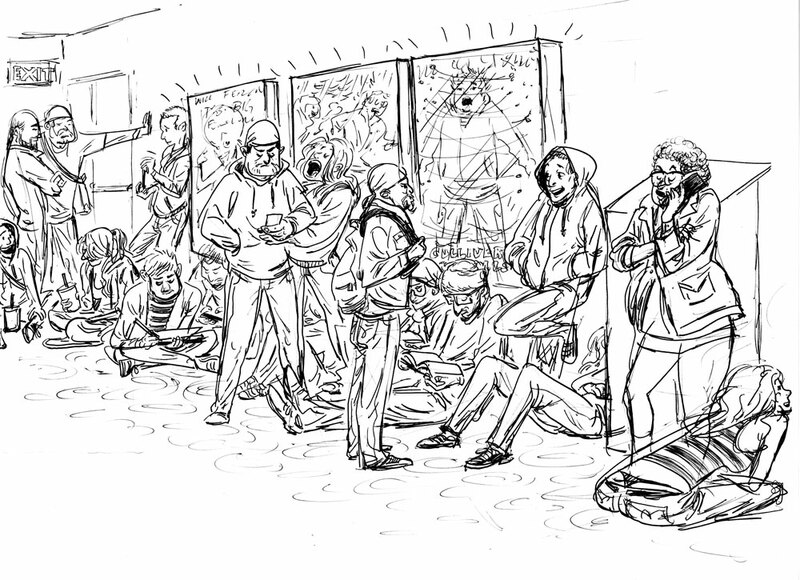 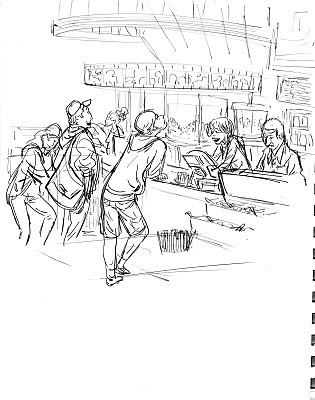 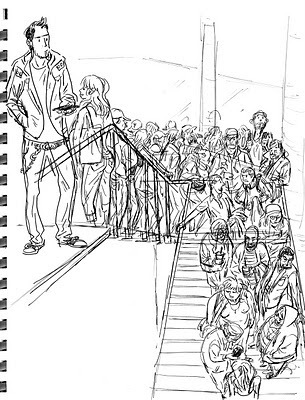 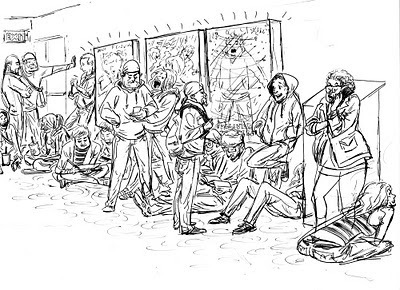 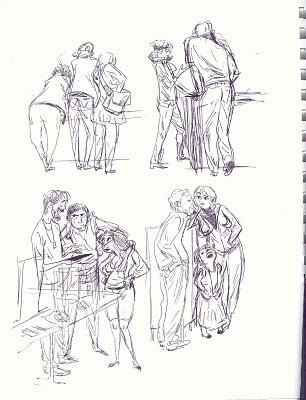 This past Saturday was Sketchcrawl! 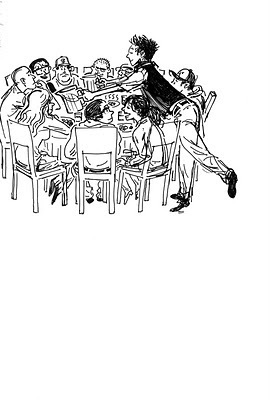 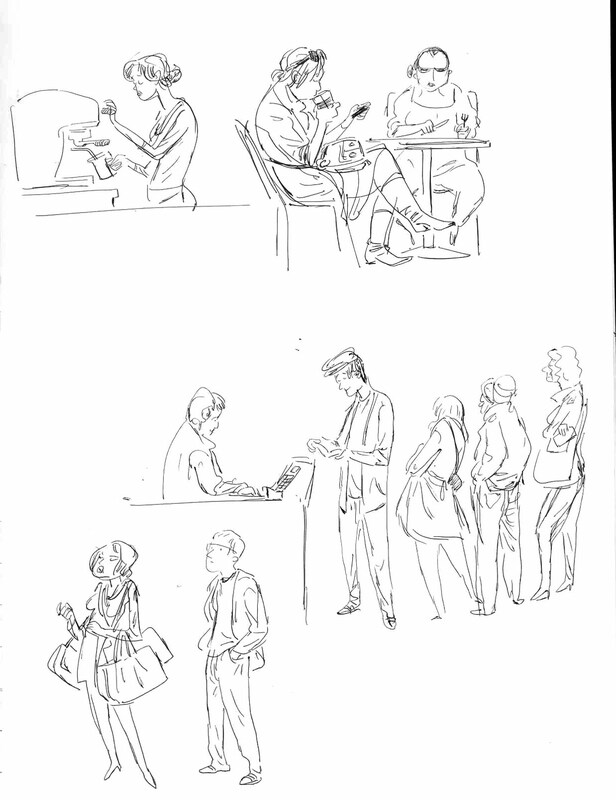 It started at Duboce Park Cafe, and ended at APE(Alternative Press Expo.) 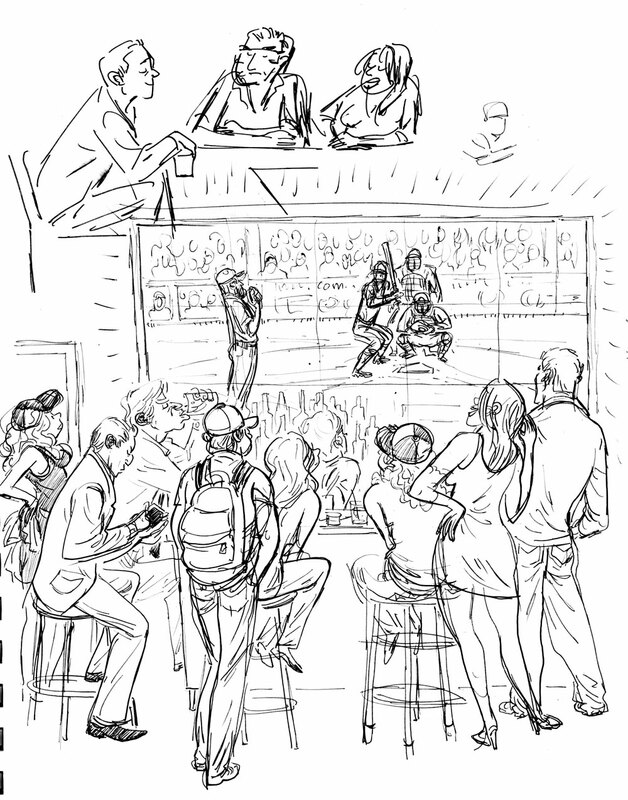 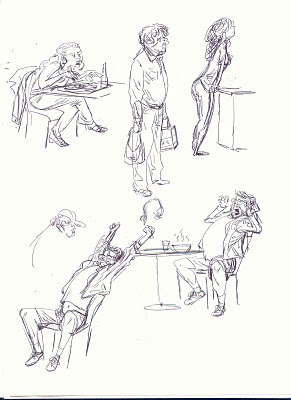 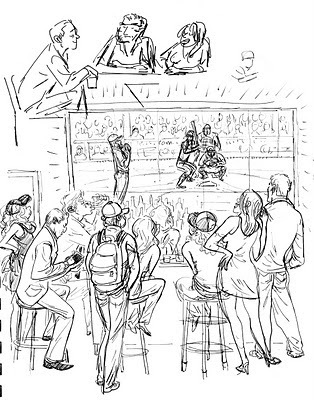 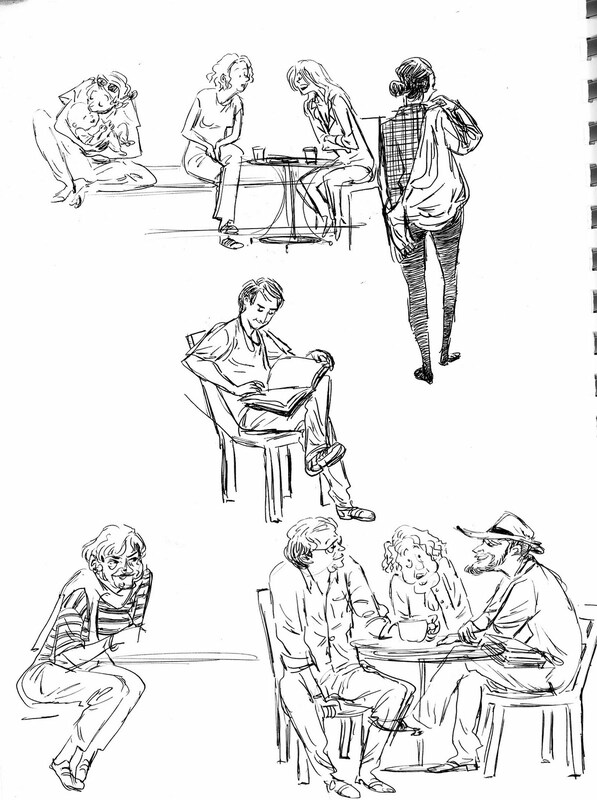 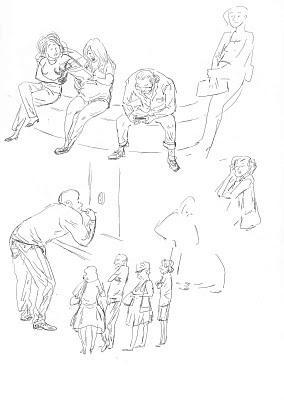 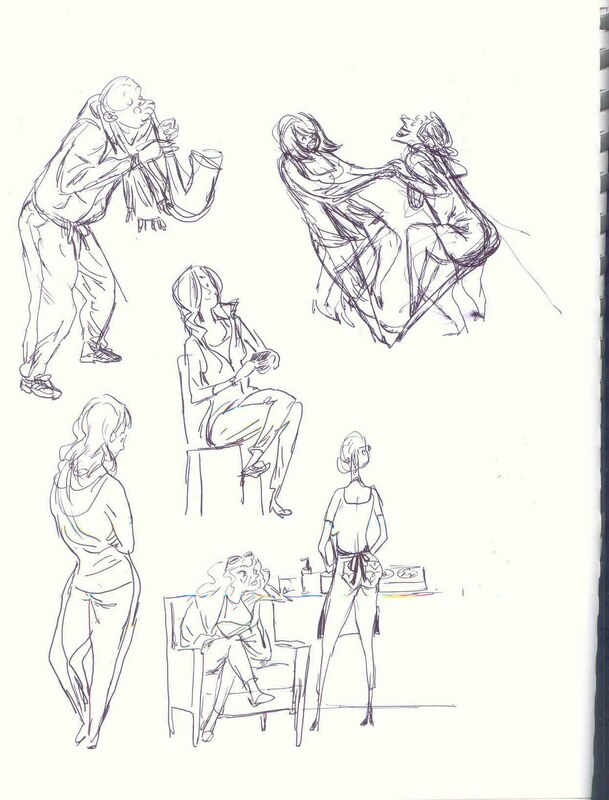 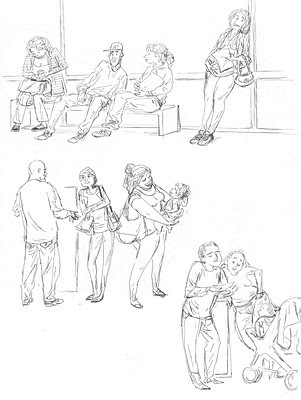 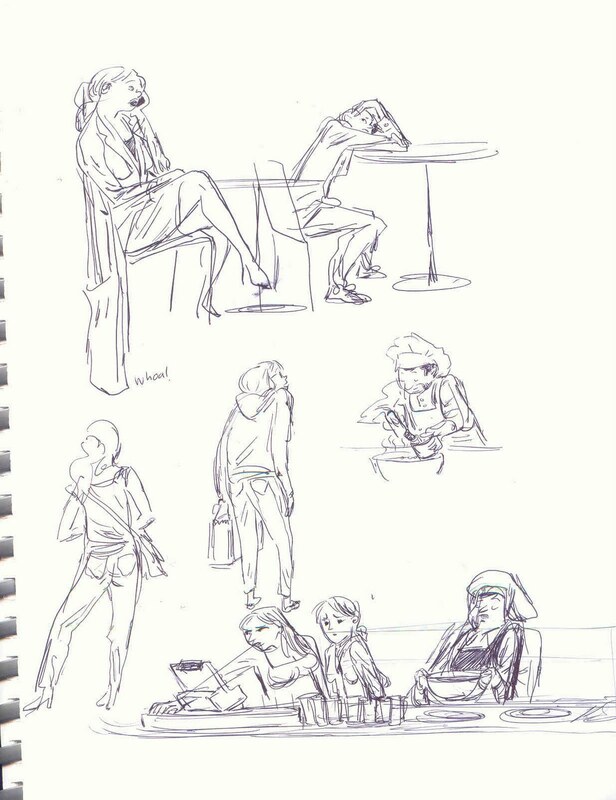 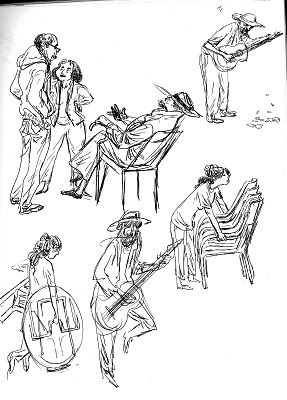 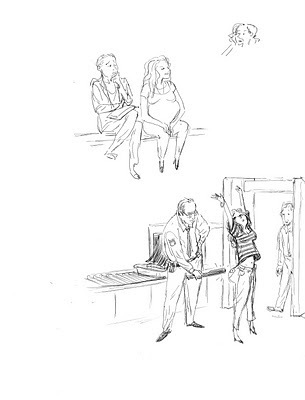 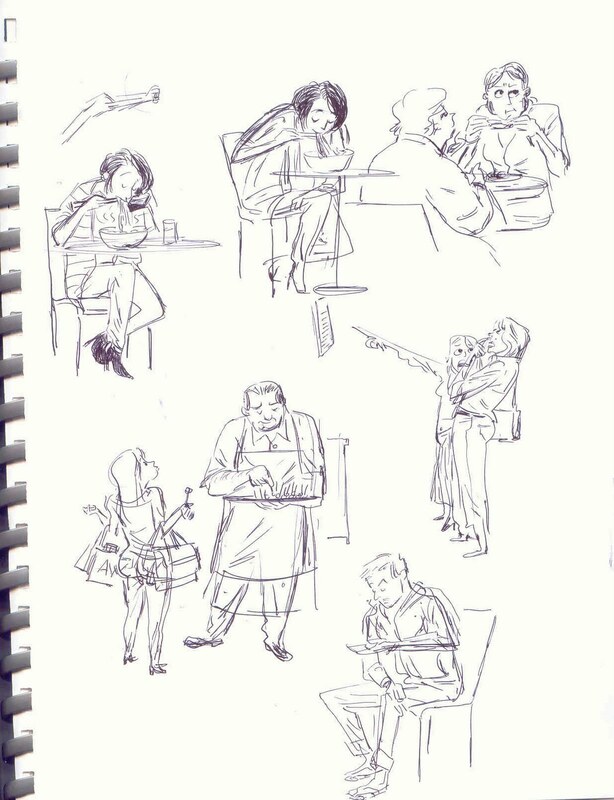 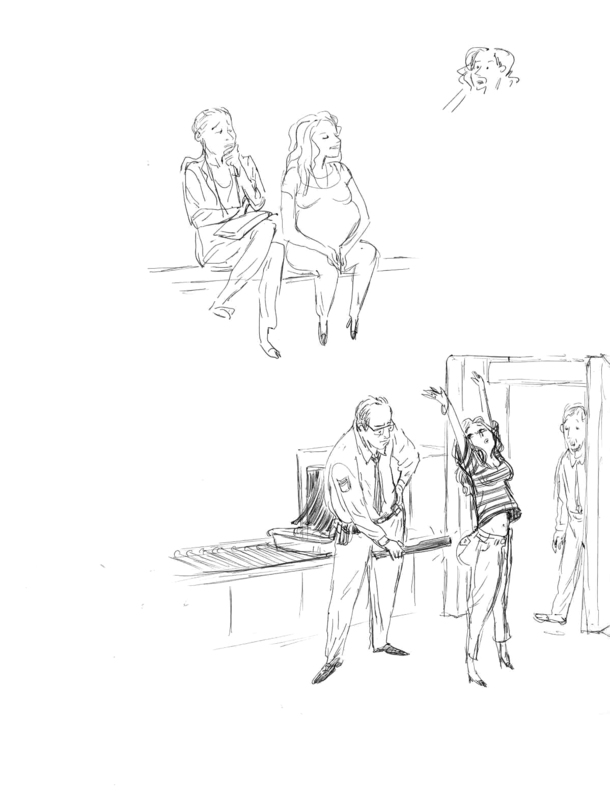 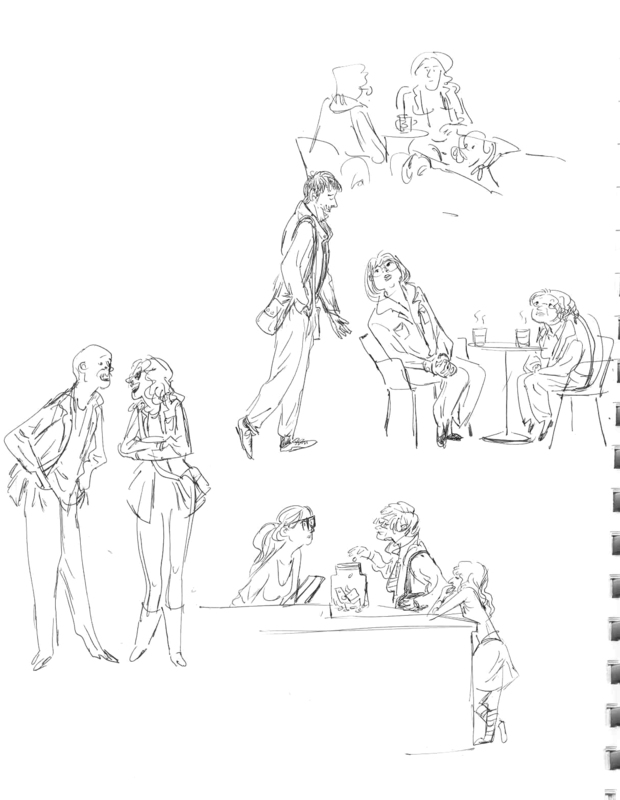 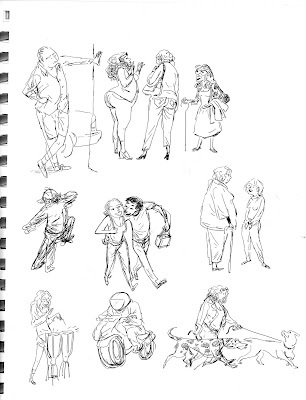 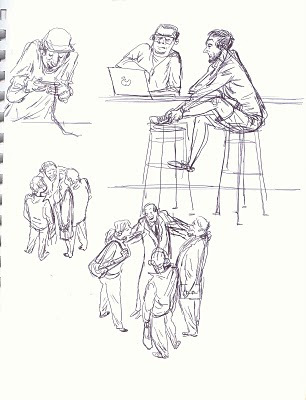 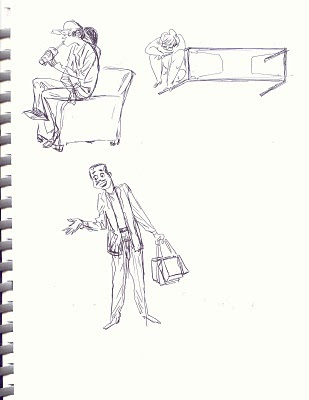 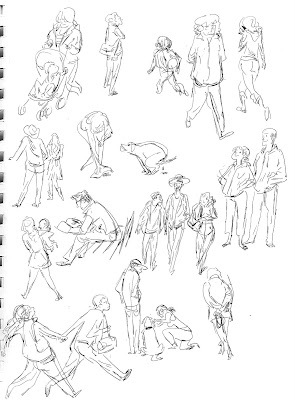 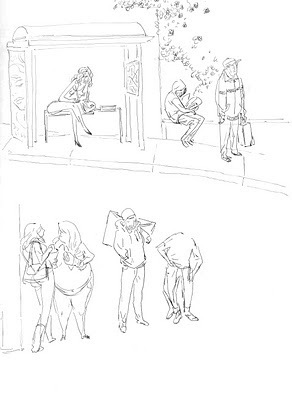 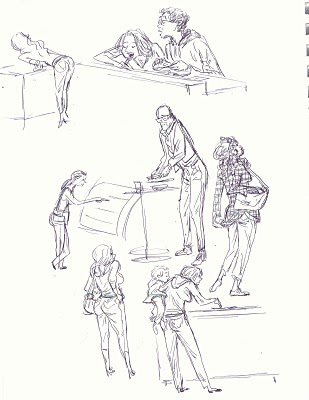 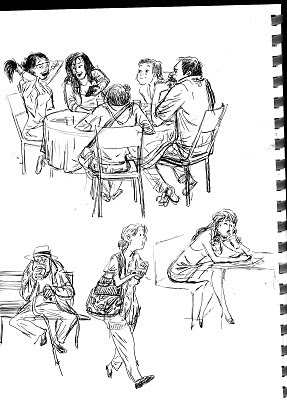 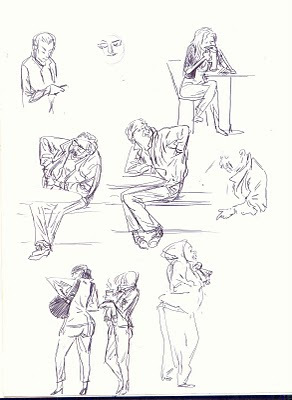 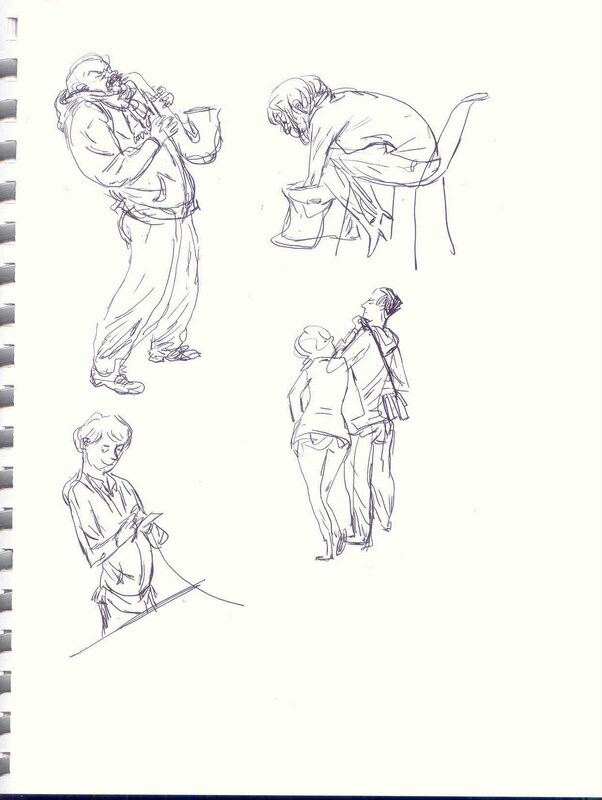 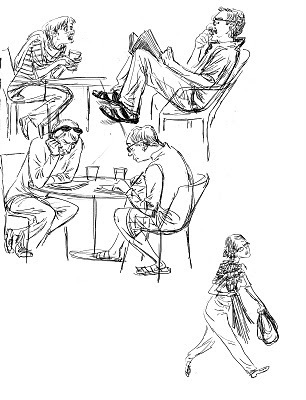 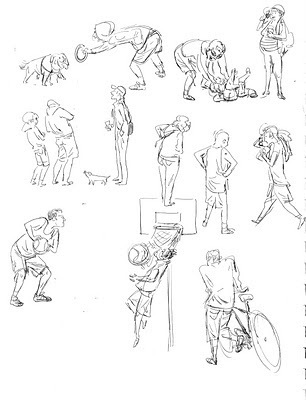 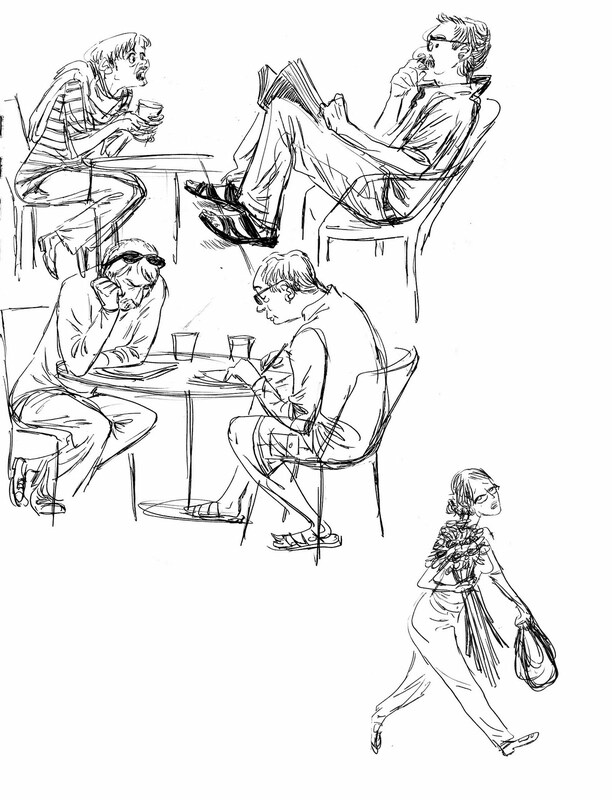 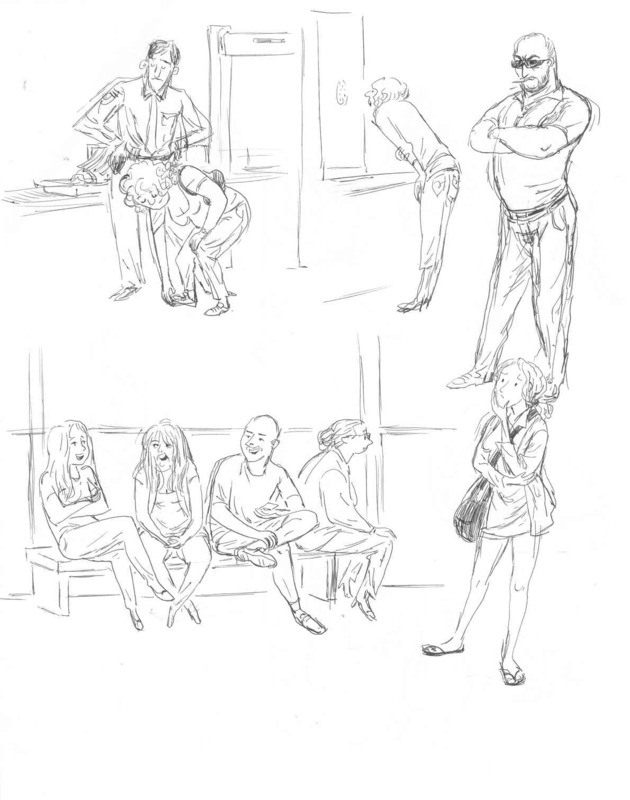 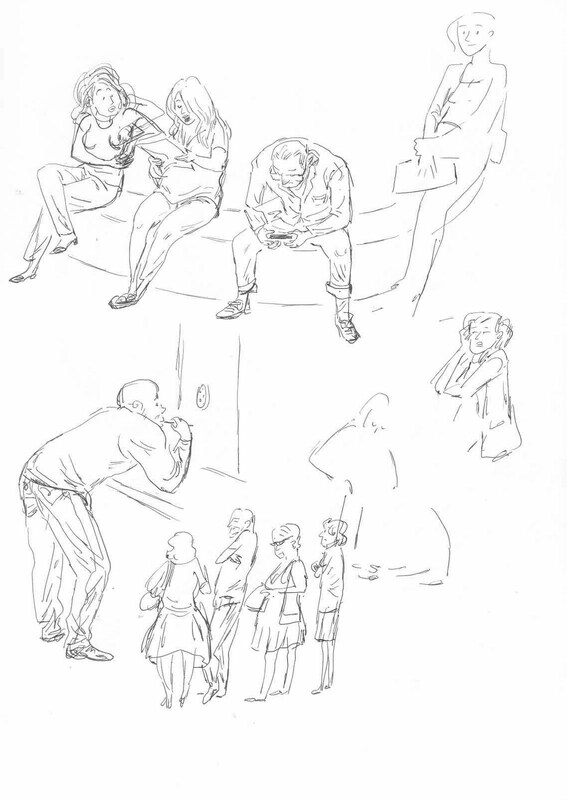 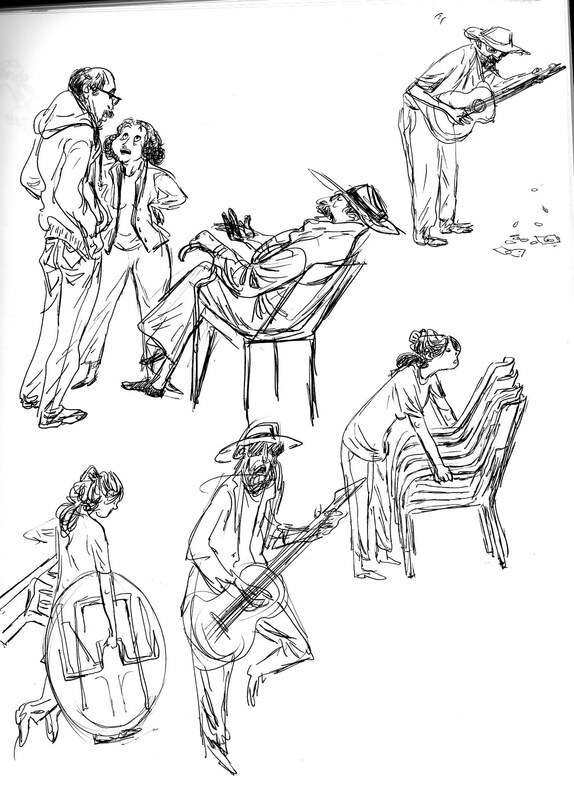 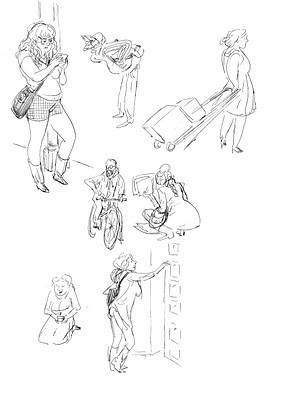 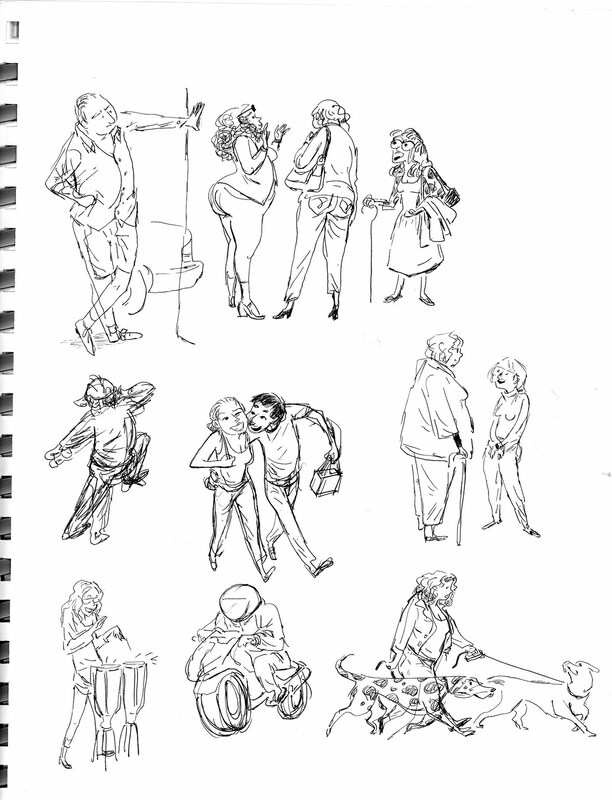 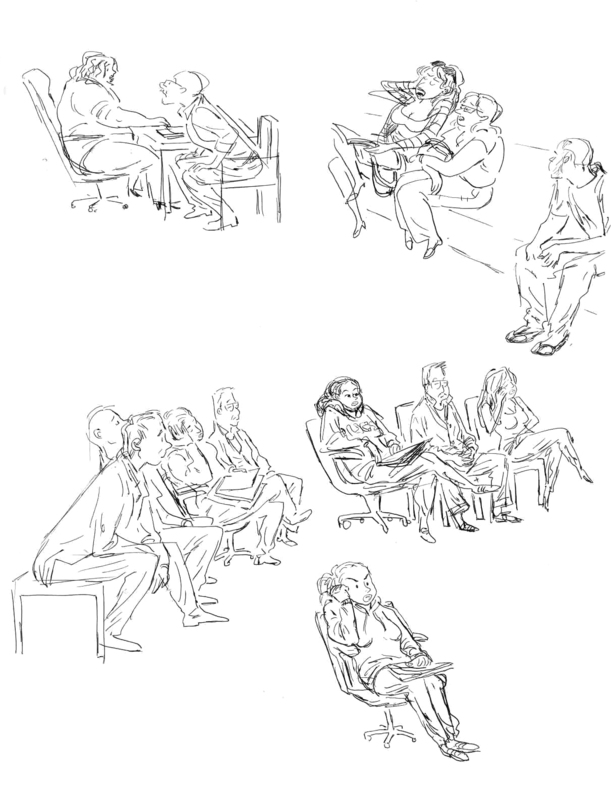 Here are some sketches from Duboce Park and on the way to APE. 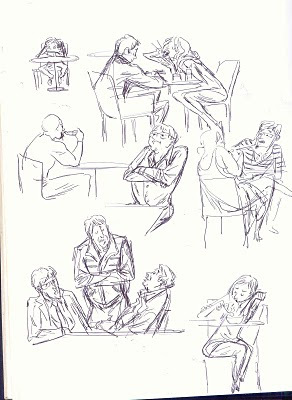 This Place is awesome...you can have dim sum up to 3am EVERYDAY! 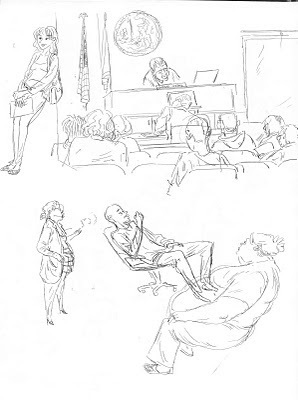 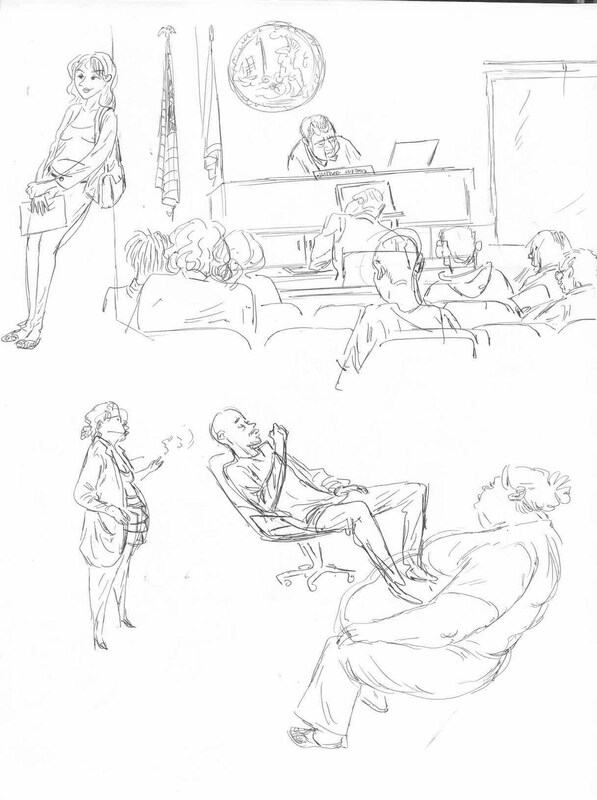 Another court appearance that took all day from 8 to 3....VERY thankful I had my sketchbook with me! 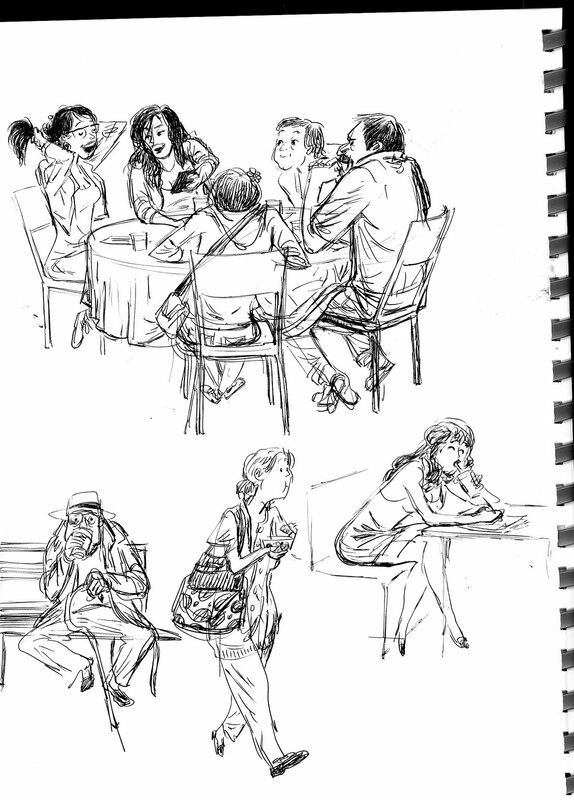 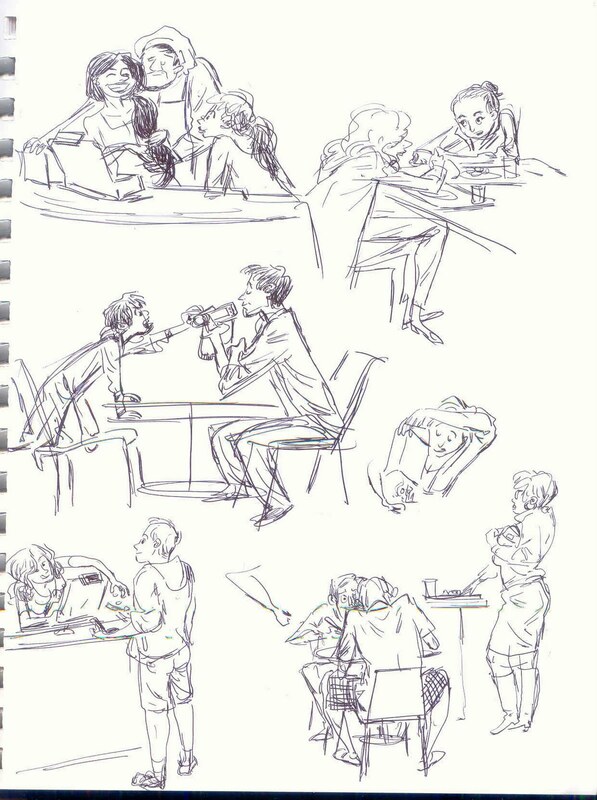 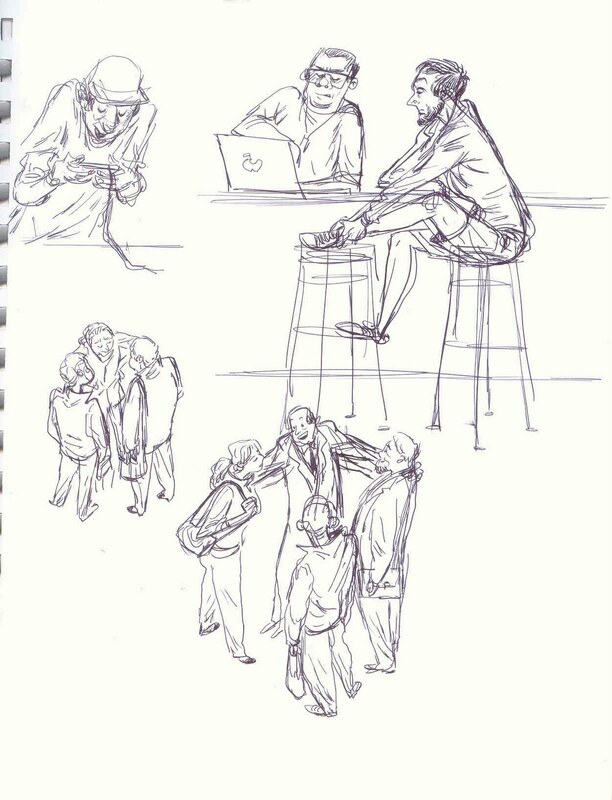 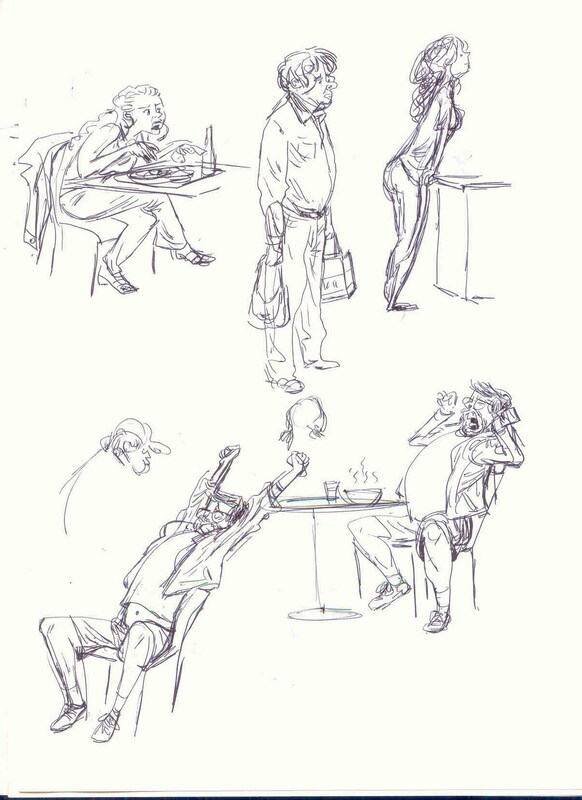 Went sketching with Chris Chua last Saturday! 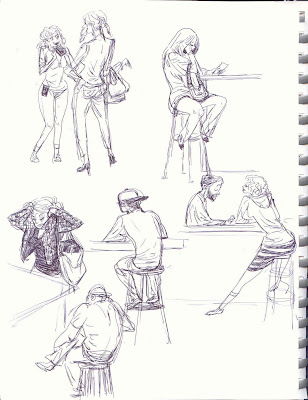 His stuff is amazing, check it out to the right! 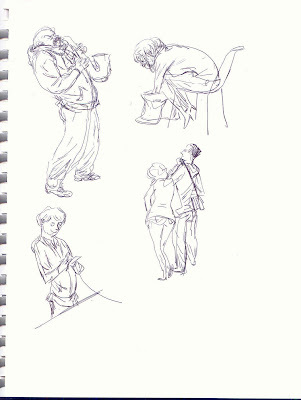 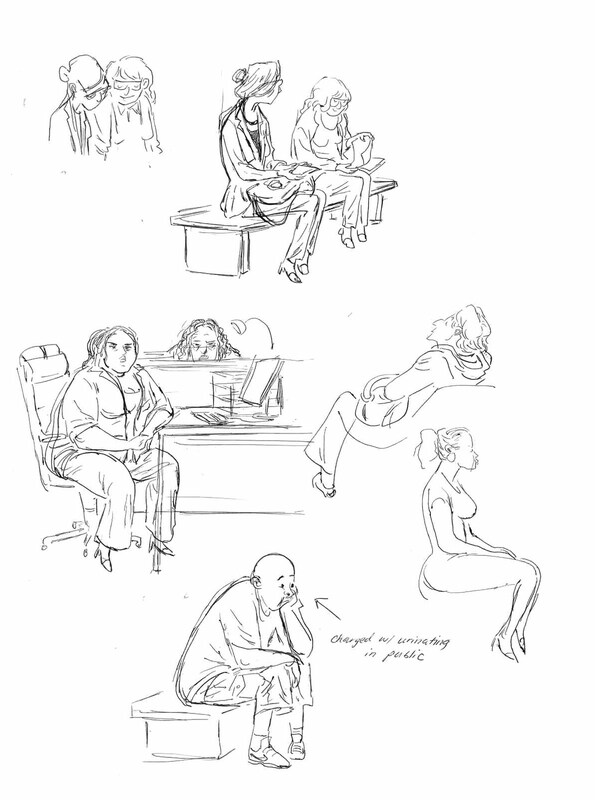 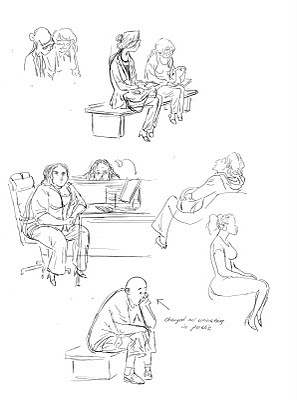 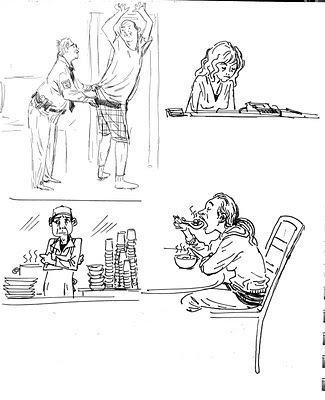 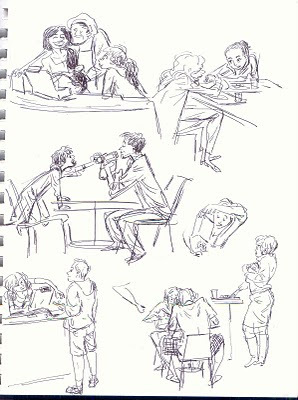 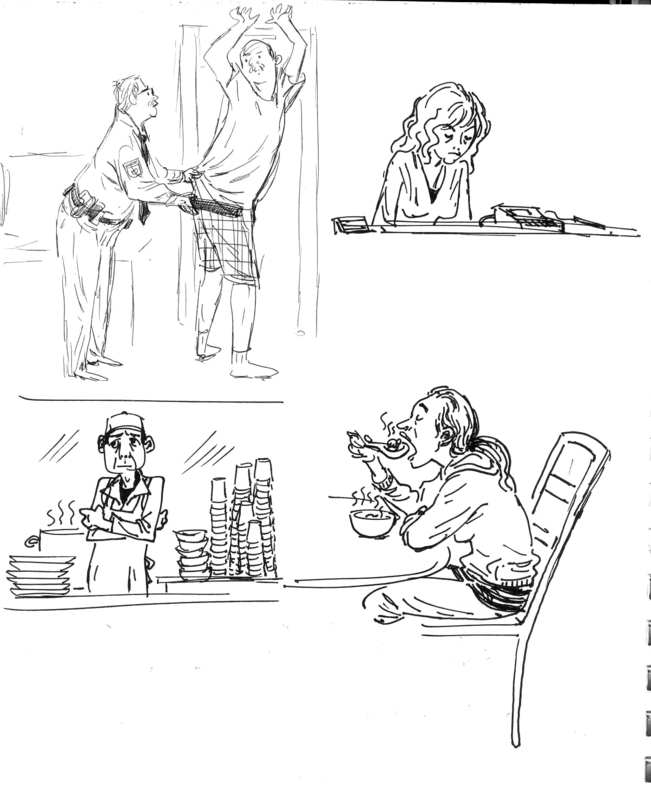 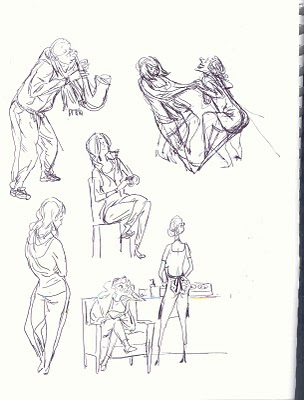 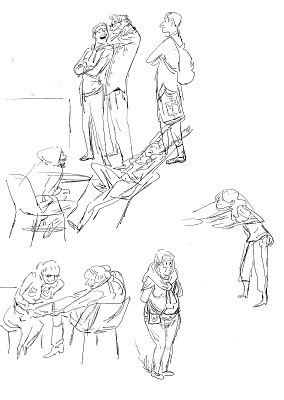 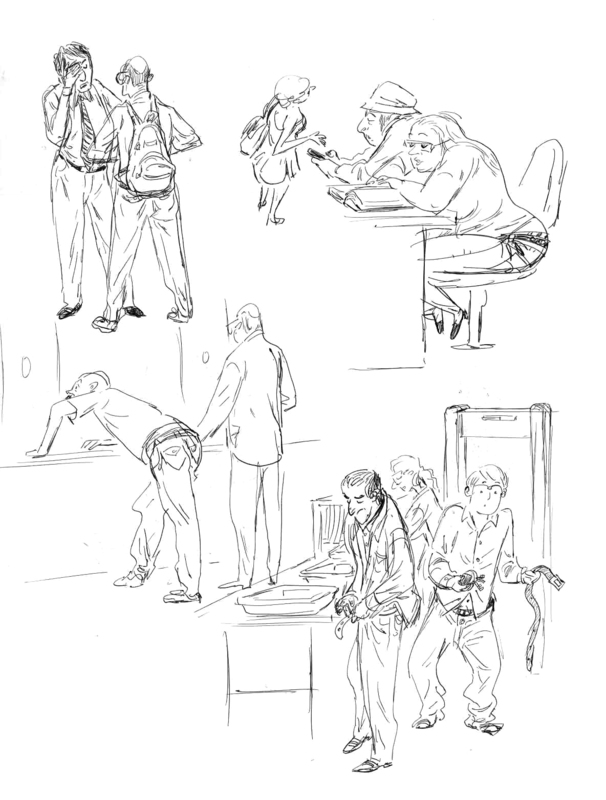 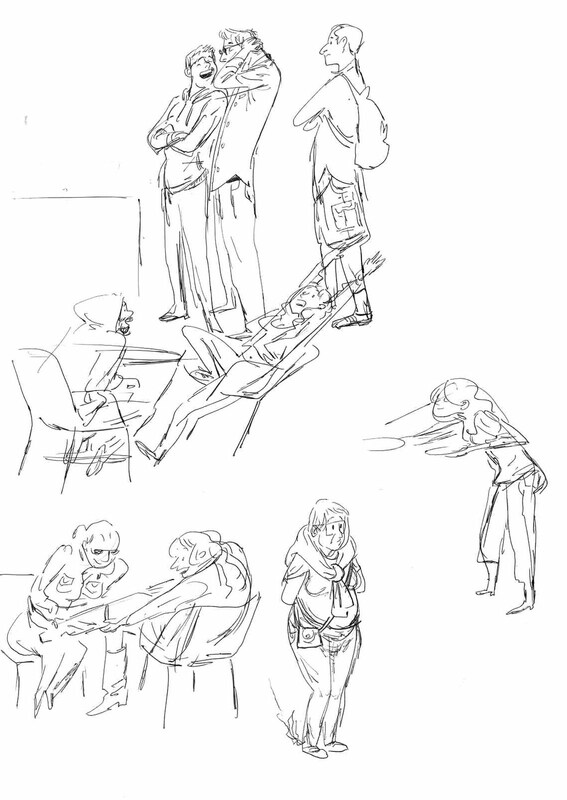 Here's some sketches from that day, but the first drawing is from a Chinese restaurant I ate at. 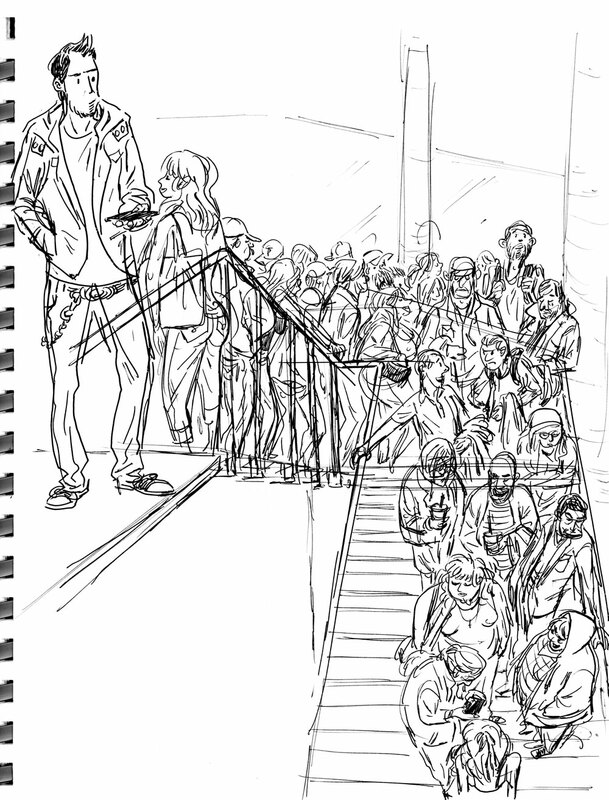 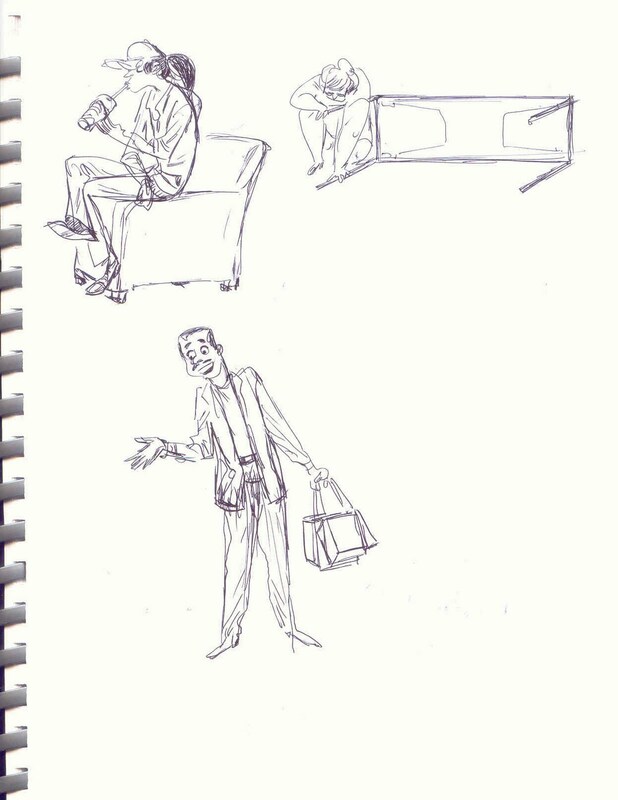 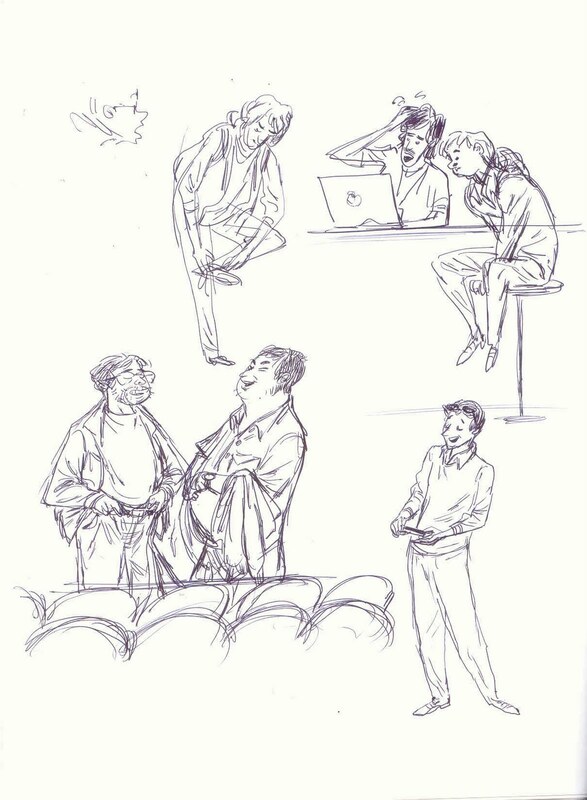 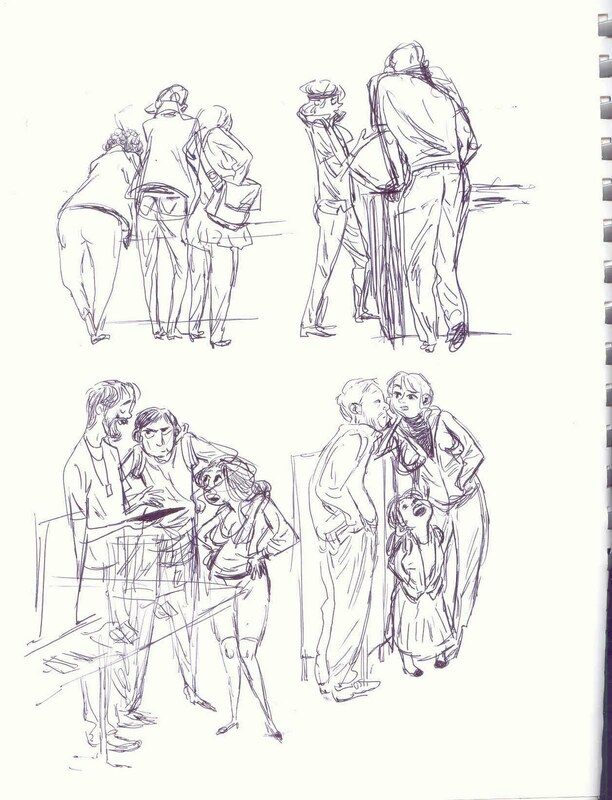 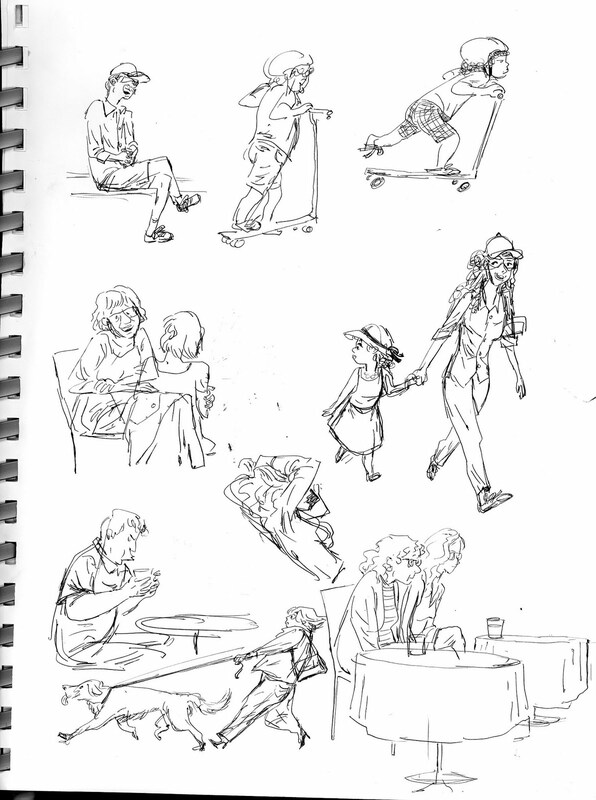 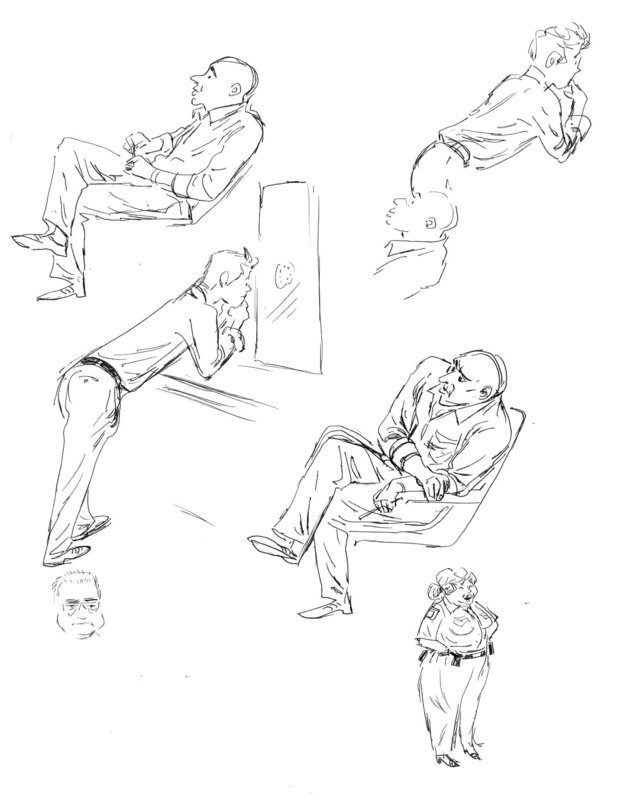 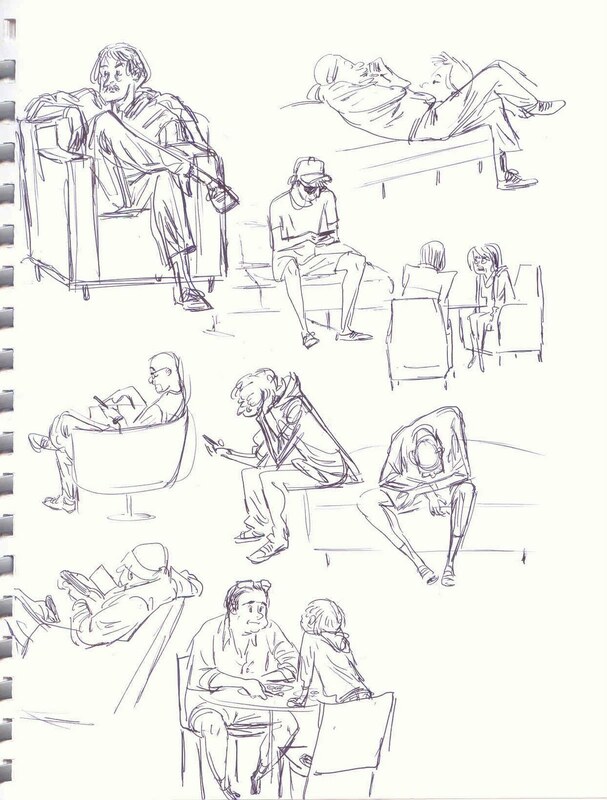 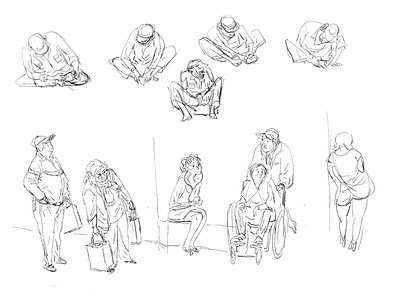 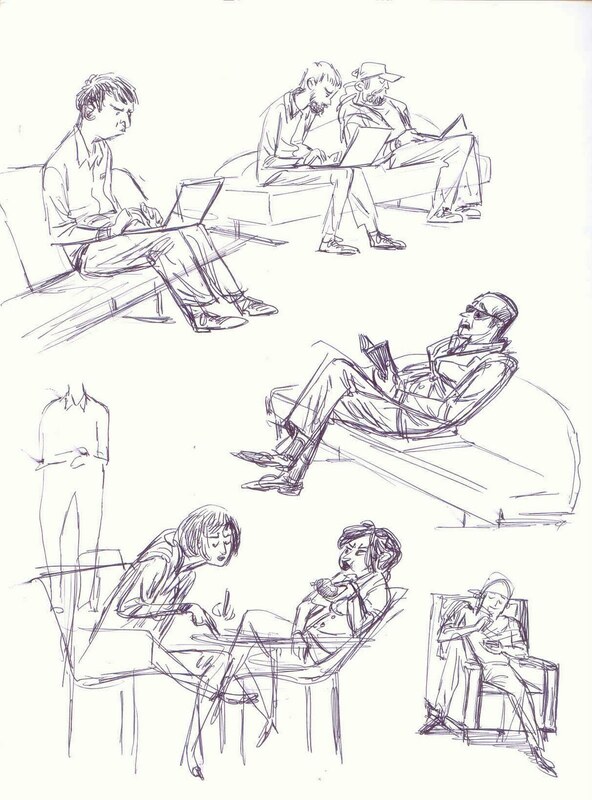 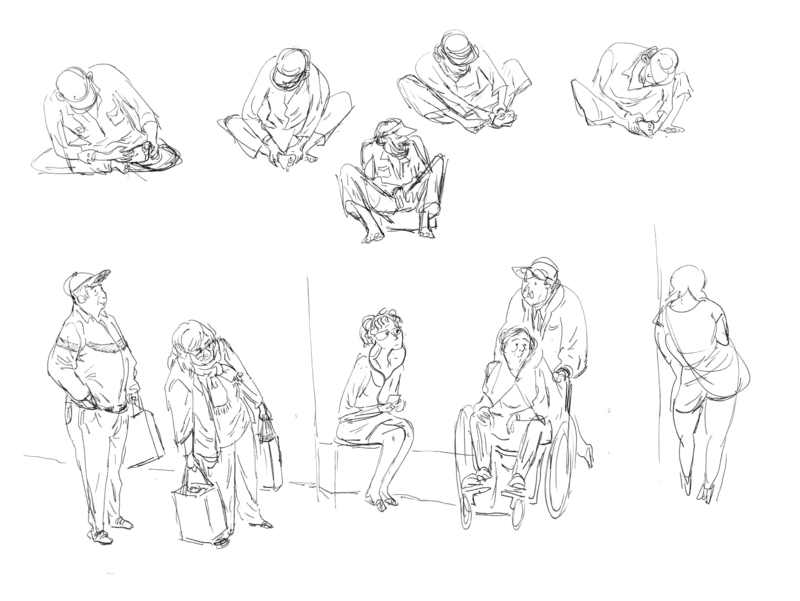 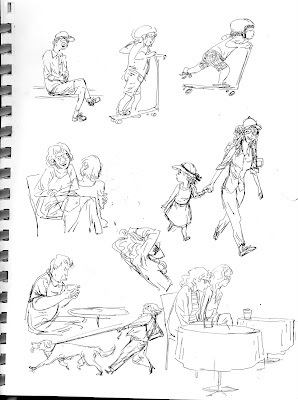 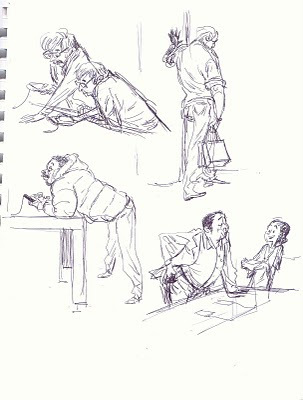 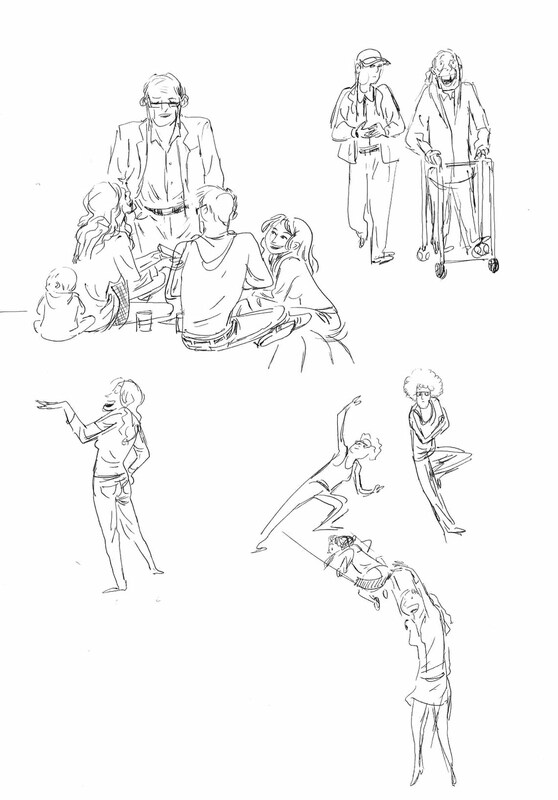 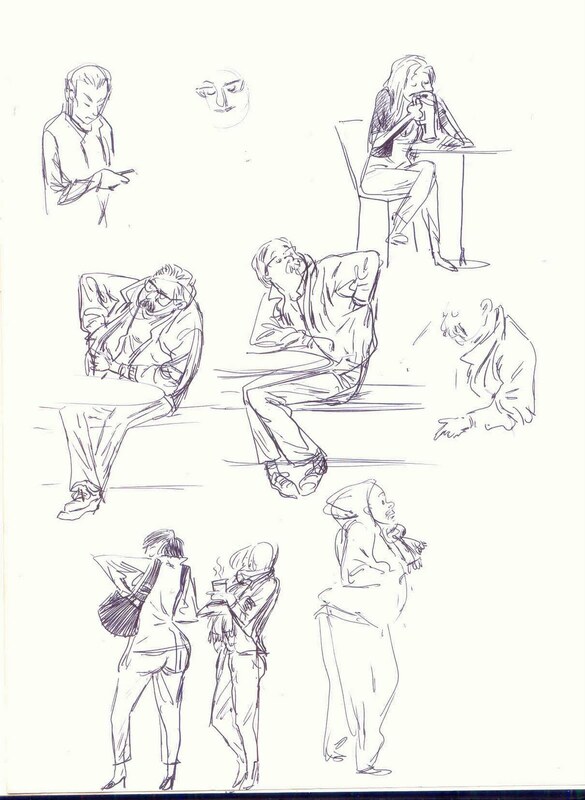 I ended my own "personal sketchcrawl" at the Apple Store. 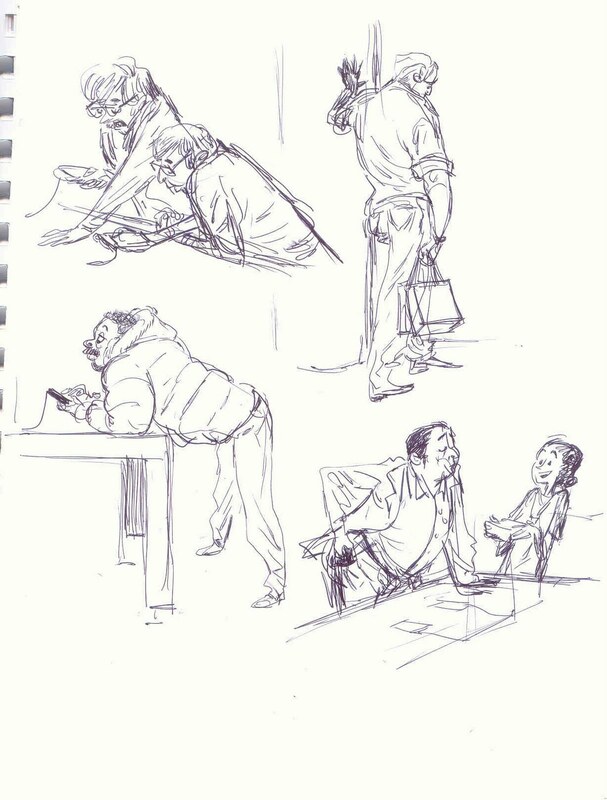 While inside I just followed a random Chinese family and pretended I was their oldest son doing art homework.